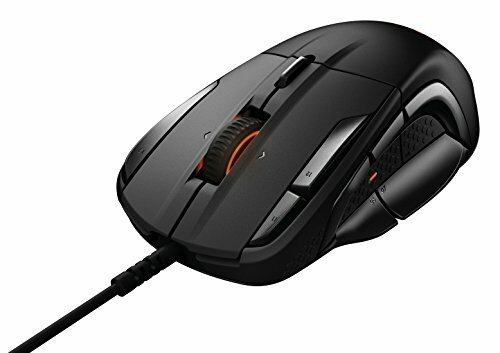 The Rival 500 is the first mouse designed to function with the natural movements of your hand. The side button layout is engineered to the natural contours of your thumb to react accurately and fluidly. With tactile alerts, you can feel in-game events. Everything comes together to create the most dynamic gaming experience possible for the sole purpose of helping you play better. Armed with gaming’s first flick down switches that are extremely easy to distinguish. It's more ergonomic and gives gamers the fastest reaction time because your thumb moves faster when you flick down opposed to pressing in. When the battle is the most intense you can always find the key you need.